Two years of gruelling hard work has got us to Africa with our rescued lions – the 33 from circuses and Peru and Colombia are home in their native land. Enjoying more space, trees, grass, bushes and sun than they have ever experienced in their lives, they will never suffer again. I am sitting at Emoya Big Cat Sanctuary in Limpopo, South Africa as our 33 lions roar into their second sunset in the African bush. They are in their large bonding camps, separate fenced rooms with their usual companions. In these camps they will come together again as families, we can complete dental surgeries and procedures to prevent breeding will be completed, and more. As each group becomes ready, they will be released into their 2.5-5 acre enclosures, allocated by size of pride and needs (for example our elderly and special needs individuals will have smaller enclosures). It will take at least 12 weeks before the first families move out to live forever in their own piece of the African bush. They’ll return to their bonding camps each day, to be fed and can also be monitored. Phase II of the build, the remainder of the habitats are being completed over the coming months. We’ve built roads into the bush, power lines, electric fencing, gates, spring-fed water ponds. We must raise a further $150,000 to finish the rest of the habitats for our 33 lions saved from lives of desperation and suffering. They deserve their chance for a peaceful life under the African sun. Junior here, is enjoying the African bush – seeing our lions rub up against their first tree, walk through the shrubs and grass of Africa for the first time, has been stunning. A huge privilege to be here to see their world expand. The passionate support and enthusiasm of the public across Latin America, Africa and worldwide has been truly overwhelming. We are so grateful that so many have supported this rescue and been willing to speak for the individual lions we have been so determined to give their chance of happiness – on their behalf, thank you – the Cusco family: Rey, Kiara, Smith, Amazonas, Mahla and Scarc. The Huarrals: Leo, Muñeca, Coco, Chino, Rolex, Africa, Kiara2. Brothers Rey and Simba Ayachucho. David and Rapunzel, Arequipa. They Huancayos: King, Junnior and Ricardo. The Limas: Liso, José and Joseph. The Bucaramanga, Colombia family: Barbie, Bollilo, Bumba, Junior, Easy, Shakira, Iron, Ojiclaro and Zeus. So many helped with the cost of the flight – $10,000 per lion – special thanks to Bob Barker and DJ&T Foundation, Greater Good, Oakland Zoo, Spurlino Foundation and Bannerman Foundation, Dr Lo Sprague and Rev Dr Gwynne Guidbord and so many others – you all know who you are – who gave so much to give life and a future to these wonderful lions. Thank you all. A busy April in Peru, Colombia, South Africa and U.S.
Everyone is going home this month! First up is Hoover the tiger’s flight from Peru to his wonderful forever home at Big Cat Rescue in Florida and then towards the end of the month we hope to lock the flights for our 33 African lions from Peru and Colombia, to take them to their forever home in their native land – the amazing Emoya Big Cat Sanctuary. The lion flight has been logistically complex, we must fly the 9 lions in northern Colombia to Bogota – Barbie, Bollilo, Bumba, Junior, Easy, Shakira, Iron, Ojiclaro and Zeus will be the first to board the Spirit of Freedom flight at Bogota. We then depart for our first stop – Lima, Peru. In Lima, we load the 24 lions – the Cusco pride, Rey, Kiara, Scarc, Mahla, Amazonas and Smith, plus Kala; the Huarrals – Leo, Muñeca, Coco, Chino, Rolex, Africa and Kiara2; the Ayachucho brothers, Rey and Simba; the Arequipas, Rapunzel and David; the Huancayo boys – buddies King and Junior and solitary one-eyed Ricardo; the Lima boys – buddies Liso and José and partially sighted darling Joseph. They will travel in their own crates but importantly, families will be together, friends must be next to each other – our loading is complicated! In their new homes in Africa the families will be bonding together again and the special needs boys, Joseph and Ricardo, will have enclosures with potential hazards removed and maybe some signage assistance! We cannot thank enough the fantastic people at The Greater Good, who are working so very hard to ensure that all of our lions get sponsored on their flight to freedom – this magnificent group has already got 53,000 miles of the journey sponsored! Already funded for their ticket to freedom are Leo, Rapunzel, Liso, Kiara, David, Simba and Scarc. Getting each lion sponsored is a huge help for a small group like ADI, as Emoya continues to build the extensive enclosures in Africa – we still have another $150,000 to pay for the final phase, but when finished, these (non-breeding) family prides and groups of friends will be together again and in more space than they have ever known. Just where they should be. 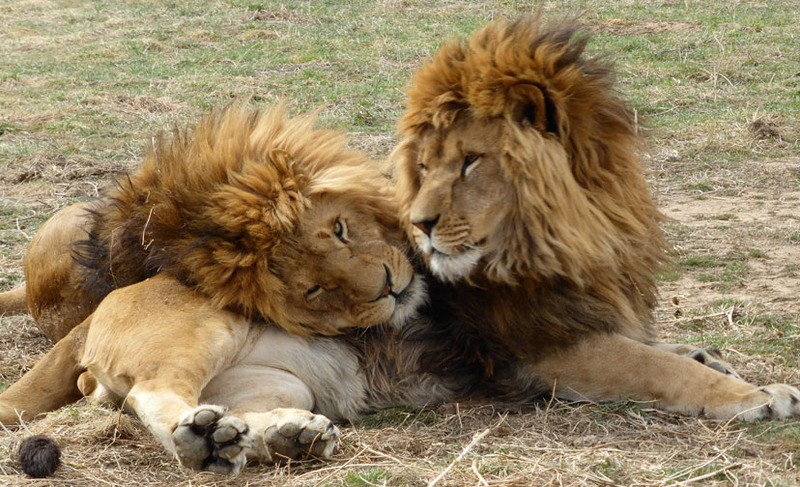 Thank you so much, Greater Good team, and all the remarkable people who have donated to help save these lions! Fly them back to Africa! 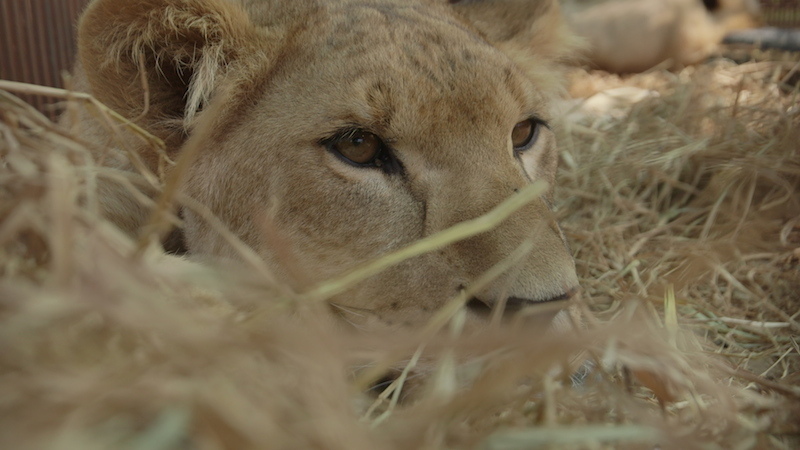 After a lifetime of pain and suffering, we have the chance to take 33 ex-circus lions back to their native Africa. They can live as close to freedom as we can get, in natural bush enclosures at the wonderful Emoya Big Cat Sanctuary in South Africa – spending their days under the Africa sun, as intended. This is a chance to make things right, for these lions at least. Huge thanks to Christian at The Dodo for his feature on the Spirit of Freedom circus animal rescue and our massive airlift to get the 33 ex-circus lions from Peru and Colombia, back to their native Africa! The seizures, rescues, animal care at the temporary rescue facilities and finding homes for over 100 animals has been tough, but the outcome has been so rewarding. Who would have ever imagined seeing Cholita the spectacled bear back in the forest – and now with bears next door! And lonely spider monkey Pepe, who found happiness with Valerie; they were then joined by Samantha, Annie, Mateo and Cindy – all swinging through the trees in their own piece of rainforest. James the Military macaw has flown free, and others have moved on. Some are now in wild release projects, learning to live free. Now it is the turn of the lions – Rey and Kiara and their family, Leo and his family, David and Rapunzel, Ricardo, Joseph, and all the others. Time for Africa. Thanks Christian, and The Dodo, for helping! Every ban on animal circuses is special, but there’s no doubt that the passing of the ban in Mexico is a thrill; so many animals will be saved and another country joins the bans across Central and South America. The world is changing for animals. Well done, Mexico! And what a wonderful birthday present for the remarkable and legendary Bob Barker, who has funded so many of ADI’s campaigns and of course has funded a huge share of the costs of our current rescue of the wild animals from circuses in Peru – a true animal hero. I write from our Spirit of Freedom temporary rescue centre in Peru, as we gather together the animals to be relocated to their wonderful new homes, so it seems appropriate to include a picture of one of our residents, dozing on a sunny afternoon as her new life starts to unfold before her. Thanks to the generosity of Bob Barker and thousands of our supporters who continue to give, a wonderful new home in the Amazon jungle awaits the monkeys and freedom to roam in huge enclosures in Colorado awaits our 30 lions. We’re continuing to raise funds for the monkey enclosure in the Amazon and we’re looking for volunteer construction workers for January. Please keep donating and get us to the finish line! Shameful scene in the UK Parliament yesterday as it became clear that the Government appears content to see the Wild Animals in Circuses Bill continue to be blocked by their MPs. Again, Chris Chope blocked Jim Fitzpatrick’s Private Members Bill. Between them, MPs Chris Chope and Andrew Rosindell have now blocked the Bill five times. This is a measure supported by 95% of the public and our last survey found 63% support in Parliament. Such continued opposition appears contemptuous. Observers might feel the Prime Minister’s words of support over the past few years look like a sham. LION ARK – see how it’s done….